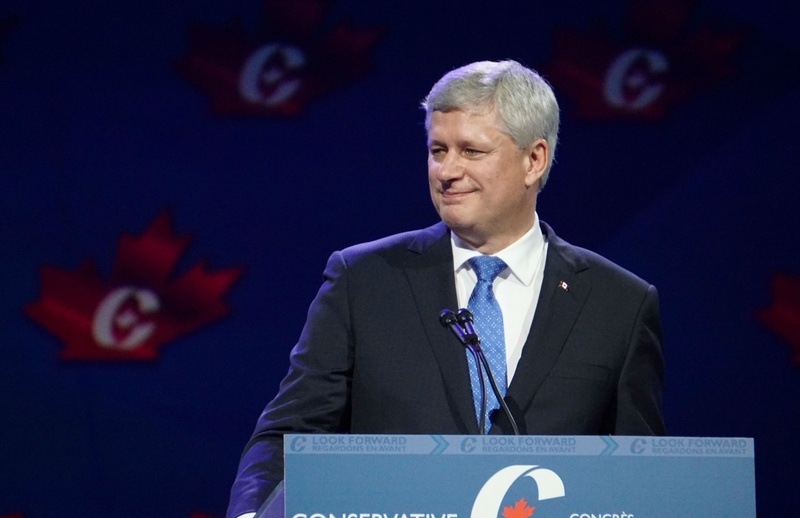 Former prime minister Stephen Harper speaks of CPC accomplishments during his farewell at the Conservative Convention in Vancouver, B.C. on Thurs. May 26, 2016. Photo by Elizabeth McSheffrey. Conservative Party of Canada (CPC). For the first time in Canadian history, the CPC has provided Canadian voters an opportunity to support a federal party that not only pays lip service to a conservative platform, but in many ways has actually pursued an agenda focused on reducing taxes, diminishing the scope and size of the federal government, and respecting the need for sound fiscal management. Of course the realities of governance did not always make it easy to implement a truly conservative platform, and there is only so far that a conservative agenda can be advanced in a left-leaning country like Canada. Nonetheless, it is difficult to debate the fact that the government of Stephen Harper possessed a deep commitment to the spirit of modern conservatism, and that this era gave Canadians their first real taste of conservative governance. Although historians and political scientists will likely be debating this era for years to come, some conclusions about the CPC’s success in the past decade can already be drawn. Outside of the obvious external political factors that helped the CPC maintain power for so many years – a weakened and fractured Liberal Party reeling in the wake of the sponsorship scandal, combined with a strengthened New Democratic Party that helped split the left – the government of Stephen Harper maintained such longevity in part because it represented a growing political trend amongst the Canadian electorate, a burgeoning consensus that might be termed a “conservative awakening” within much of the Canadian population. 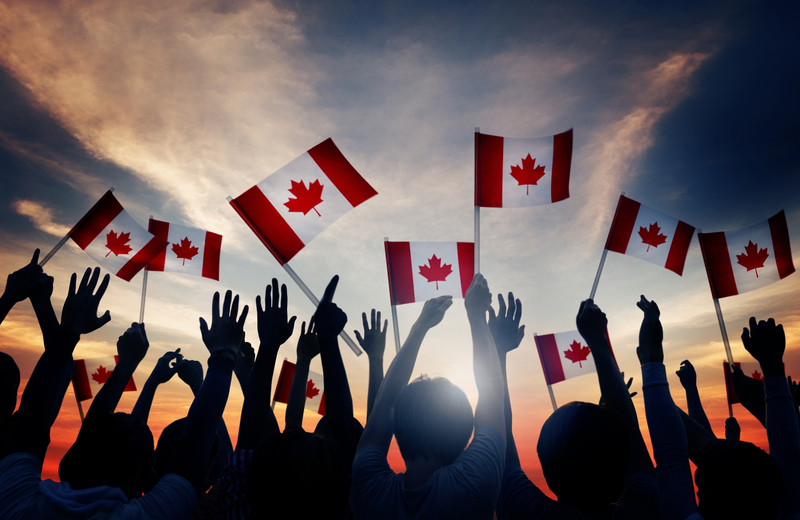 In essence, this trend was simple: a growing number of Canadians across the country had begun to embrace the ideals of small government, sound fiscal management, and lower taxes. This trend in fact pre-dated the Harper government, and there is no doubt that the governing Liberals of the 1990s were stout fiscal conservatives. But despite impressive financial stewardship under the administrations of Jean Chretien and Paul Martin, the Liberal Party has continued to maintain a steadfast belief in the beneficent and positive role of Ottawa, an approach that has dominated federal policy-making in Canada since at least the end of the Second World War. The CPC, for the first time in the memory of most Canadians, gave voters an actual alternative to this big government line of thinking. And so was born a truly multiparty system of democracy. With the Conservative leadership race now in full swing, it is worth asking to what extent this multiparty system – or, for that matter, the sustainability of the CPC in general – is now in jeopardy. The government of Stephen Harper maintained such long-term electoral success in large part because it gave conservative Canadians a viable alternative to the Liberals, and because these Canadians trusted the Harper government to implement – to the extent possible– a truly conservative agenda. Harper spent years forging and maintaining a successful coalition of former “Red Tories”, right-leaning and small-government-supporting Westerners, and slightly right-of-centre suburbanites across Canada, and this coalition has been crucial for maintaining the CPC’s success in the polls. Not surprisingly, these three political-demographic elements correspond almost perfectly to the three policy pillars of Canadian conservatism: a belief in the limited power of Ottawa in the lives of Canadians (represented mostly by right-leaning Westerners); an emphasis on responsible fiscal management, while maintaining a commitment to Canada’s cherished social safety net (represented mostly by former “Red Tories”); and a simple but powerful desire to reduce the tax burden on Canadian families and businesses, and to continue to help Canadians achieve prosperity through an unabashed commitment to the free market (embodied by the wishes of suburban and exurban voters across the country). To maintain the CPC’s momentum, and to continue to harness the support of this powerful yet fragile voter coalition, the next Conservative leader will have to emphasize these areas above all else. Yes, it will be tempting to continue the standard attack line against Justin Trudeau that his government has begun to revive the so-called “culture of entitlement” within the Liberal Party. And yes it would be easy to criticize the flashy and superficial nature of Trudeau’s relationship with the media, or to debate the extent to which the Liberals have already begun to adopt the same so-called “anti-democratic” tactics that they for so long accused the Harper government of relying on. But these criticisms, while perhaps valid,inevitably detract from the very demonstrable fact that the Trudeau government has now firmly and skillfully painted a picture of Ottawa as positively and actively engaged in the life of Canadians, signalling to anyone who will listen that the Canadian federal government is back in full swing, and with almost unlimited ambition to solve the country’s ills. Most alarmingly perhaps, this rhetoric has masked the current government’s willingness to pursue policy initiatives that institutionalize this big government approach: the undertaking of massive and apparently infinite budget deficits (despite an economy that does not seem to be anywhere near the depths required to really justify “stimulus spending”); reneging on a crucial campaign promise to lower the tax burden on small businesses, and showing little signs of interest in reducing personal income taxes across the board; and a movement towards enhancing the Canada Pension Plan, a program whose effectiveness is, at best, questionable. These are still early months in the Trudeau government’s mandate, and already Canadian conservatives are becoming increasingly alarmed with Trudeau’s big-government-is-best-for-everyone attitude. But in order to provide Canadians with a viable and sustainable alternative to a Liberal government, and in order not to be drawn too far from a true conservative platform, any individual hoping to become the CPC’s new leader must steadfastly adhere to the policy principles that formed the foundation for the Harper government’s long-term success. And once elected leader, any self-respecting conservative platform in Canada should in turn be based on this “trinity” of Canadian conservatism: a small and unobtrusive federal government; a firm commitment to sound fiscal management; and a dedicated and unwavering belief in lowering the tax burden on Canadians. Only by adhering to these concepts will the next Conservative leader ensure that voters continue to have an actual choice in terms of federal governance the next time they head to the polls. Rick Chase is an Entrepreneur as well as Board Member and Policy Committee Chair at Conservative Voice. Mischa Kaplan is a writer and entrepreneur. They are both based in Ottawa.